Scientists at The Scripps Research Institute (TSRI) have given new superpowers to a lifesaving antibiotic called vancomycin, an advance that could eliminate the threat of antibiotic-resistant infections for years to come. The researchers, led by Dale Boger, PhD, Co-Chair of TSRI's Department of Chemistry, discovered a way to structurally modify vancomycin to make an already-powerful version of the antibiotic even more potent. "Doctors could use this modified form of vancomycin without fear of resistance emerging," said Dr. Boger, whose team announced the finding that was published online on May 30, 2017 in PNAS. The article is titled “Peripheral Modifications of [Ψ[CH2NH]Tpg4]Vancomycin with Added Synergistic Mechanisms of Action Provide Durable and Potent Antibiotics.” The original form of vancomycin is an ideal starting place for developing better antibiotics. The antibiotic has been prescribed by doctors for 60 years, and bacteria are only now developing resistance to it. This suggests bacteria already have a hard time overcoming vancomycin's original "mechanism of action," which works by disrupting how bacteria form cell walls. Dr. Boger called vancomycin "magical" for its proven strength against infections, and previous studies by Boger and his colleagues at TSRI had shown that it is possible to add two modifications to vancomycin to make it even more potent. "With these modifications, you need less of the drug to have the same effect," Dr. Boger said. The new study shows that scientists can make a third modification--which interferes with a bacterium's cell wall in a new way--with promising results. Combined with the previous modifications, this alteration gives vancomycin a 1,000-fold increase in activity, meaning doctors would need to use less of the antibiotic to fight infection. Epigenetic changes are chemical modifications that turn our genes off or on. In a new study from Uppsala University, researchers show that tea consumption in women leads to epigenetic changes in genes that are known to interact with cancer and estrogen metabolism. The results were published online on May 23, 2017 in the journal Human Molecular Genetics. The article is titled “Tea and Coffee Consumption in Relation to DNA Methylation in Four European Cohorts.” It is well known that our environment and lifestyle factors, such as food choices, smoking, and exposure to chemicals, can lead to epigenetic changes. In the current study, researchers from Uppsala University in Sweden, in collaboration with research groups around Europe, investigated if coffee and tea consumption may lead to epigenetic changes. Previous studies have suggested that both coffee and tea play an important role in modulating disease-risk in humans by suppressing tumor progression, decreasing inflammation, and influencing estrogen metabolism, mechanisms that may be mediated by epigenetic changes. 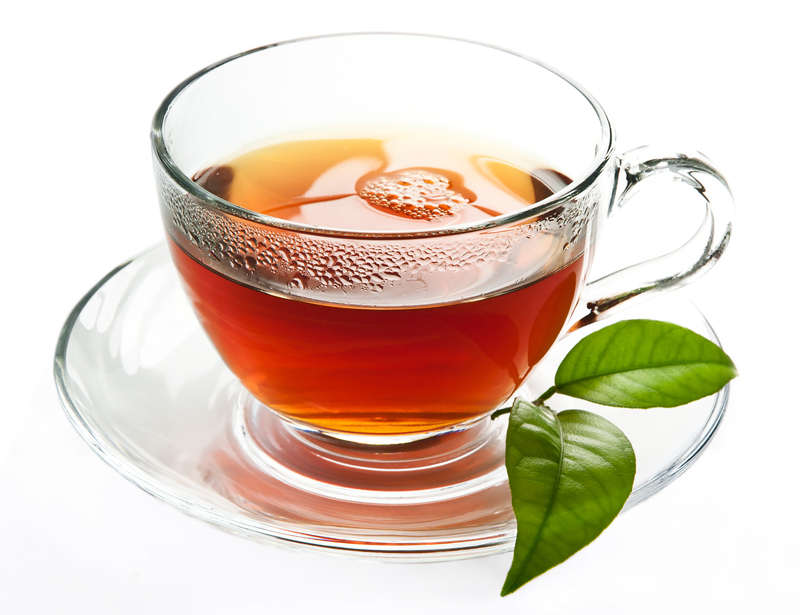 The results show that there are epigenetic changes in women consuming tea, but not in men. Interestingly, many of these epigenetic changes were found in genes involved in cancer and estrogen metabolism. "Previous studies have shown that tea consumption reduces estrogen levels which highlights a potential difference between the biological response to tea in men and women. Women also drink higher amounts of tea compared to men, which increases our power to find association in women", says Dr. Weronica Ek, researcher at the Department of Immunology, Genetics and Pathology, who led the study. The study did not find any epigenetic changes in individuals drinking coffee. On June 2, 2017, San Francisco State University’s Department of Biology will host Personalized Medicine 10.0 “Has It Changed Your Life?” The meeting will take place from 8:00 am to 6:00 pm on Friday, June 2, 2017 at the South San Francisco Conference Center. For registration information, please contact dnamed@sfsu.edu or visit http://personalizedmedicine.sfsu.edu or contact conference chairman Michael Goldman, PhD, Chairman, Biology, San Francisco State University (goldman@sfsu.edu). 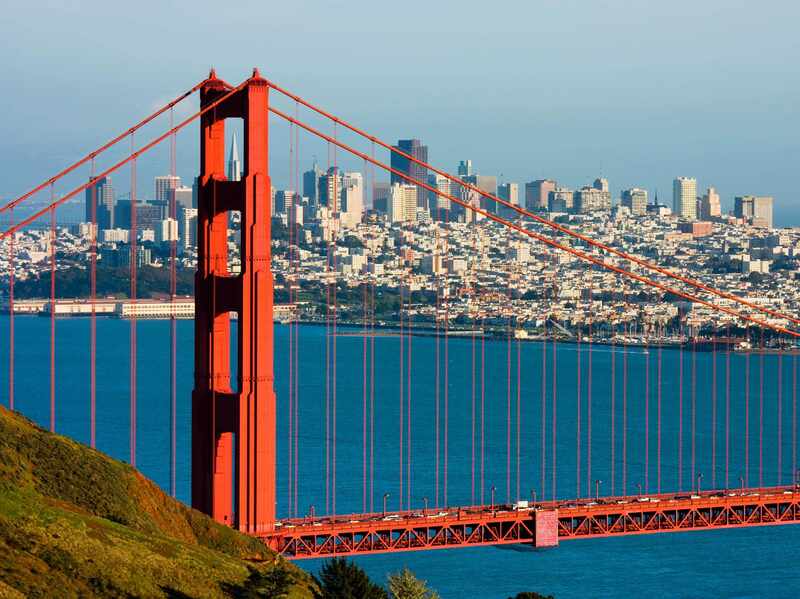 Please see the meeting program at this link (http://personalizedmedicine.sfsu.edu/docs/pers_med_2017_program.pdf). Personalized medicine seeks to use genetic variation to develop new diagnostic tests and treatments and to identify the sub-groups of patients for whom they will work best. This approach can also help determine which groups of patients are more prone to developing some diseases and, ideally, help with the selection of lifestyle changes and/or treatments that can delay onset of disease or reduce its impact. This year, to celebrate our tenth anniversary conference on personalized medicine, we take a longer view, looking at how our lives have changed since the advent of personalized, precision and genomic medicine, and just how far we have yet to go. We revisit the topics we focused upon in previous years, including bioinformatics, oncology, epigenetics, the genomics of rare disease, nth generation sequencing technologies, the microbiome, and the unprecedented developments in gene therapy and genome editing. We examine the hard science, the clinical applications, the business potential, and the regulatory and ethical implications of personalized medicine in 2017. Where next for our society and our species? New York-Presbyterian and Weill Cornell Medicine have begun the first clinical trial in the United States that uses a small molecule to treat men with progressive prostate cancer that has spread beyond the prostate and is no longer responding to hormonal therapy. The Phase 1 study has completed its second round of patient enrollment, with the first six patients having undergone dosing. The researchers will be discussing the trial on June 5 at the 2017 American Society of Clinical Oncology (ASCO) meeting in Chicago. The researchers are using the small molecule Lutetium 177Lu-PSMA-617 to target prostate-specific membrane antigen (PSMA), a protein that is abundantly expressed in 85-90 percent of metastasized prostate cancers. The small molecule binds to PSMA and delivers precise radiation therapy intended to shrink the cancer -- even in cases in which cells have yet to form a visible tumor on a bone or CT scan. The trial primarily seeks to determine the highest dose level of the drug that can be given without significant side effects. PSMA-targeted therapy is thought to be one of the most promising approaches in treating metastasized prostate cancer. "This trial represents a new frontier in the treatment of metastatic prostate cancer," said Dr. Scott Tagawa, medical director of the genitourinary oncology program at New York-Presbyterian/Weill Cornell Medical Center and The Richard A. Stratton Associate Professor in Hematology and Oncology at Weill Cornell Medicine. "While this type of therapy has shown promise, this is the first trial of its kind in the United States. So far, patients are doing well." Ashkenazi Jewish women are known to have a predisposition to the inherited breast cancers BRCA1 and BRCA2, but currently genetic testing in this group is limited to women affected by breast and ovarian cancers and those who are unaffected, but have a family history of the disease. Ms. Sari Lieberman, a genetic counsellor at the Shaare Zedek Medical Centre, Jerusalem, Israel, told the annual conference of the European Society of Human Genetics (ESHG) on Sunday, May 28, in Copenhagen, Denmark, that offering open-access BRCA testing to Ashkenazi women unaffected by cancer, regardless of their family history, enables the identification of carriers who would otherwise have been missed. Carrying one of the mutations for the BRCA genes means that women affected have a 50-80% risk of developing breast cancer and a 20-50% risk for ovarian cancer. "We knew that half of these carriers have no family history of cancer, and therefore would not have been identified had the test been offered on the current personal and family history criteria," she says. "As a genetic counsellor, it is frustrating and saddening to see the results of this policy, where patients are often only identified as BRCA carriers once they have been diagnosed with cancer." The researchers streamlined the pre-test process so that traditional genetic counseling, which can be time-consuming and difficult, was excluded. Instead they provided written information about the BRCA genes, the genetic test, and about the implications of being a carrier. "Current strategies for testing focus on women who are 50 and older, which is not the optimal age for effective prevention. In order to address this, we would like to continue this study and look for other approaches that could include younger women," says Ms. Lieberman. This article by Ellen V. Sigel, Ph.D., was originally published in STAT (https://www.statnews.com/) on May 24, 2017. Ellen V. Sigal is founder and chair of Friends of Cancer Research, (https://www.focr.org/ ) an advocacy organization based in Washington, D.C. BioQuick News ran into Dr. Sigel at the recent Precision Medicine World Conference (PMWC 2017) at Duke May 24-25, and received permission to reprint this important opinion piece: Since taking office, President Trump has done right by the scientific and patient communities by placing strong leaders at the Food and Drug Administration and the National Institutes of Health. After a four-month vacancy in the FDA’s top job, Dr. Scott Gottlieb now runs this essential agency, and Dr. Francis Collins is continuing his leadership of the NIH. 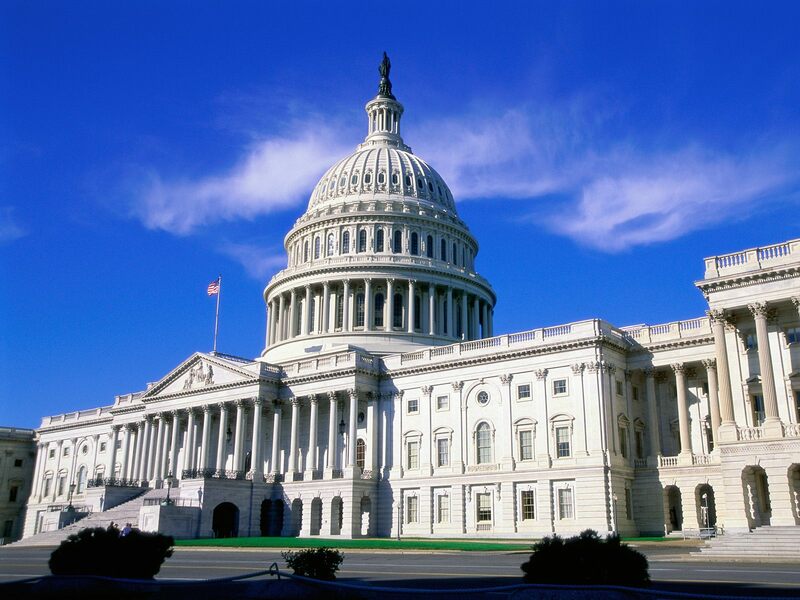 With these experienced and thoughtful leaders in place, there is reason to be optimistic that the progress promised by the passage of the 21st Century Cures Act in December 2016 will be fully realized. But the president’s newly released budget seems to move in the opposite direction. It would hamstring Collins and Gottlieb in their efforts to protect and improve the lives of Americans and represents a major impediment to bipartisan opportunities to build on the momentum and execute the programs created through Cures Act and the current reauthorization of the Prescription Drug User Fee Act. At best, the proposed budget suggests that the White House doesn’t understand how the NIH and the FDA function. At worst, it suggests a disregard for the millions of patients who are desperate for the scientific innovations, lifesaving therapies, and safeguards that emerge from these agencies. Utilizing metal−organic frameworks (MOFs) as a biological carrier can lower the amount of the active pharmaceutical ingredient (API) required in cancer treatments to provide a more efficacious therapy. In new work, scientists at the University of Cambridge (UK), Northwestern University (USA), and King Abdulaziz University (Saudi Arabia), report development of a temperature treatment process for delaying the release of a model drug from the pores of NU-1000 and NU-901, while taking care to utilize these MOFs’ large pore volume and size to achieve exceptional model drug loading percentages over 35 wt %. The team showed that encapsulation of an anticancer therapeutic, alphacyano-4-hydroxycinnamic acid (α-CHC), and subsequent temperature treatment produced loadings of up to 81 wt % and demonstrated efficacy at killing cells beyond the burst release effect. The scientists reported that video-rate super-resolution microscopy revealed movement of MOF particles when located outside of the cell boundary, and their subsequent immobilization when taken up by the cell. Through the use of optical sectioning structured illumination microscopy (SIM), they captured high-resolution 3D images showing MOF uptake by HeLa cells over a 24-hour period. The article was published online on May 16, 2017 in the Journal of the American Chemical Society. The paper is titled “Temperature Treatment of Highly Porous Zirconium-Containing Metal−Organic Frameworks Extends Drug Delivery Release.” The authors “believe this is the first study of MOFs to employ super-resolution microscopy, and the first to utilize optical sectioning SIM to observe any nanocarrier in 3D. ISEV 2017 Wraps Up in Toronto; Next Year Barcelona ! 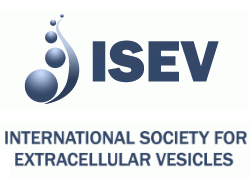 The final day of the highly successful International Society for Extracellular Vesicles (ISEV) 2017 Annual Meeting in Toronto, Canada, began with three simultaneous early-morning experts workshop sessions on “ExRNA Progress and Potential,” “EV Track,” and “Demonstration Workshop Analysis with FunRich.” The exRNA session was moderated by Louise Laurent, MD, PhD, from UC-San Diego, and included expert panel members, Aleksandar Milosavljevic, PhD, from Baylor College of Medicine, Kendall Jennsen, PhD, from TGen, and Jeffrey Franklin, PhD, from Vanderbilt University Medical Center. The sessions were designed to foster open interaction between the audience and the expert panelists, and Dr. Laurent framed the discussion by suggesting a focus on where we are now and what we need to make progress going forward. She noted that standardization is an ongoing effort with variability in methods, variability in reproducibility, and the existence of intrinsic, systematic biases in techniques that are reproducible. She indicated that standardization of collection, processing, and analytical methods is needed and standards that are developed need to be made available to the community. Dr. Milosavljevic remarked on the value of pipelines used by the exRNA Consortium and data sharing carried out through the exRNA Atlas (http://exrna-atlas.org/). Dr. Laurent mentioned the needs for single vesicle analysis and improved methods for vesicle enumeration and sizing. One audience member raised the question of methods to isolate exRNA from different body fluids and another contributed information on an effort undertaken in Australia to address some of the method standardization issues. He said that the Australian National Measurement Institute had asked 20 different labs to carry out size measurements and then analyzed the data to develop standard operating procedures.